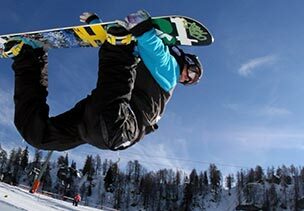 Would you like to spend a wonderful time during your vacations in Austria, in winter or in summer? Nassfeld, a centre, full of lakes, in a beaUtiful clean nature, attracts its visitors to an active spent stay, as well as for a relaxation.Nassfeld Hermagor offers to you inumerable winter and summer activities, and is therefore suitable for families with kids as well as for enthusiastic sport-minded people. The lower station of Millennium Express, the longest cable railway in Austria is to be found in Tröpolach, 300 meters from our appartements. 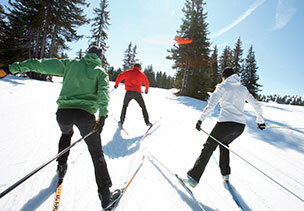 You will find here 110 km ski slopes. From 2/3 there are red downhill routes (easy, middle 60km, demanding 20km), transport is being provided by 38 modern lifts, by which you will be comfortable and without waiting transported to the heights. 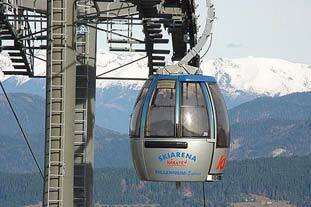 Nassfeld is a favorite place also for your summer vacations, especially for fans of walking tourism and biking. It attracts by more than 1000km of signed paths, leading you in the altitude from 600 up to 2800m a.s.l., which will bring you also to the Italian side of the peaks, by thematic acquaintance paths, routes for Nordic walking as well as running routes. 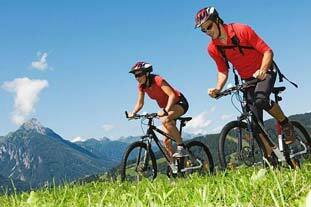 For biking you will find in Nassfeld more than 800 km of cycle routes of all demanding levels and in various altitudes. Everybody can chose according to his possibilities and efficiency. 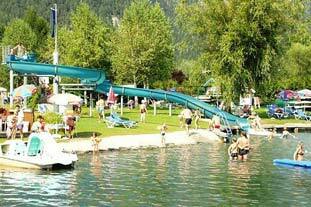 With your children you will enjoy a day full fun, for instance during the visit of the NTC fun park near the lake Presseggersee, where your kids can enjoy the trampolines, minicars or in pools with various water attractions. 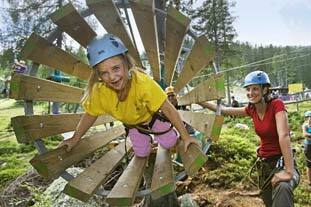 Vacations in Austria is an incarnation of the wonderful nature and rich of activities. 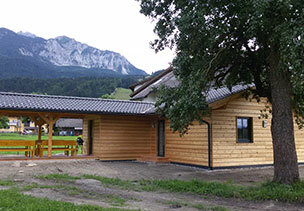 Come to us and enjoy Nassfeld, enjoy the maximum comfort of accommodation with sauna and grill. Observe and inspect the beautiful nature on more than 1000 km signed touristic routes leading in altitudes from 600 to 2800m a.s.l. which will bring you as well as to the Italian side of peaks. 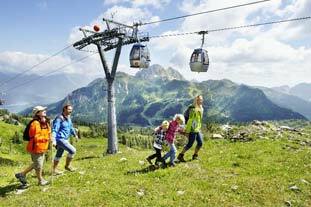 With our +CARD PREMIUM you can travel by the cable railways free of charge. 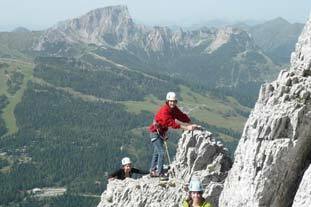 Nassfeld offers suitable grounds for mountain climbing and ´´VIA FERRATA´´ of all degrees of demand. At the second interstation of the cable railway Millenium Express the eventspark is situated, here you will find a suspension park with handicaps in the tree heads, a rock labyrinth, and high strings. There is a paradise for bikers of all efficiencies, age and intentions. 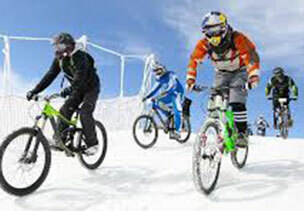 Everybody, from beginners up to professionals will certainly chose something from the rich offer of this event park. The region of Kärnten provides by its geographical attitude on the sunny side of the Alps about 2000 sunny hours a year. Therefore appreciate visitors of this region the possibility, to take a bath in one of the more than thousand limpid lakes of the Alps. 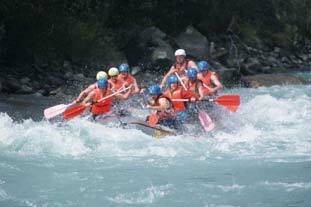 Set out for a rafting or pass the wild river Gail on a kayak. This river passes directly through Tröpolach. 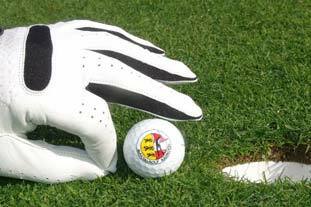 In the surroundings of the appartement house you will find even some wonderful 18 hole golf fields. 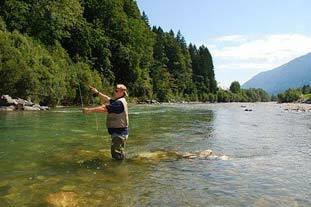 Running or standing waters in the Nassfeld - Hermagor - Pressegger See region, is a paradise for fishermen. The Pressegger See and Weissensee lakes have the quality of drinking water. Nor your kids will be bored. The centre offers event parks, playgrounds and trampolines almost everywhere. The water is clear and limpid - in the lakes as well as in the swimming pools. 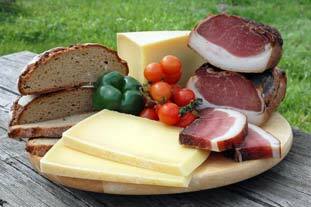 In the region Kärnten you will find original local culinary specialities, which were appreciated by many awards. For instance ´´Gailtal lard´´, ´´Gailtal Alp cheese or ´´Gailtal smoked salmon´´. All these specialities you can buy in many shops in the whole region. Garnitzenklamm - there is a nature trail with panorammatic and information panels, which represent 200 million years of fascinating geology. The abyss was made accessible. by means of protected ways (via ferrata), over foot bridges as far to the waterfalls. The areal is being served by 38 modern cable railways. In the winter season are all in operation, in summer then two of them. These will carry you up to the peaks of Madritche and Gartnerkofel, including your bicycle or buggy. In summer will your transport be free of charge with our +CARD, in winter we are offering to our guests price reductions for the skipasses. There probably does not exist a better place from where you can start your motorcycle trip to three various countries. 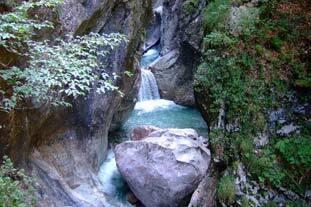 Tröpolach is situated in a valley, near the frontier with Italy and Slovenija. 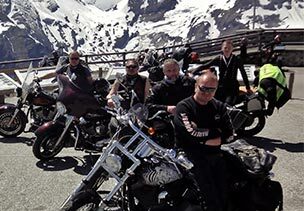 The mountain serpentines and passes attracts the motorcyclists to day trips. The saying From the mountains to the sea is not only a slogan here. Individual pilots, with a pilot license and an IPPI card, can fly directly in Tröpolach even though there is no official starting point there. 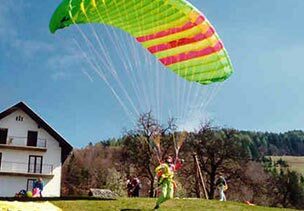 The nearest official terrain is the Emberger Alm (Greifenburg), where can safely flying pilots from beginners to highly experienced. 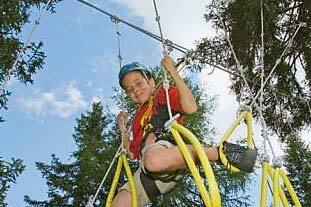 he visit of this park does not satisfy the demanding acrobats only, but also total beginners find here their fun. 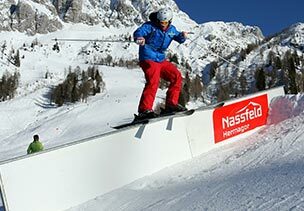 You will find two Fun Parks in Nassfeld. The first one is situated at the second interstation of the cable railway Millenium Express, and recently - was in this year constructed an area, protected for this kind of sports. You will find this area at the lower station of the railway Millenium Express. You certainly are varying your downhill running by a classical skiing. Nassfeld offers you more than 80km of treated routes and further kilometers you can have at Weissensee, or at Lesachtal, where you will find more than 100 km routes. If you like a relax and well being, we are offering you a rest in our Saunahouse, where you can rest your body after sport activities or just so. At disposal is a self-service bar with the Czech beer on tap, which will certainly enjoy many sauna fans.